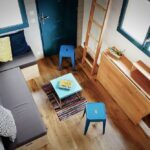 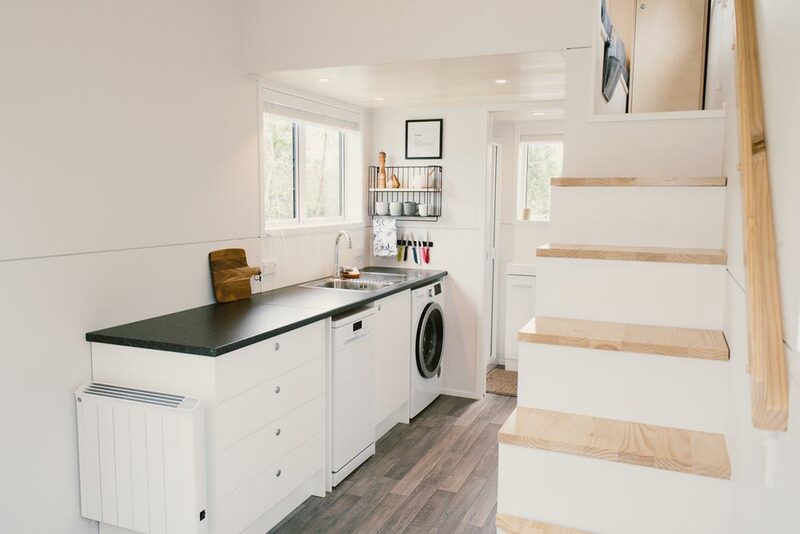 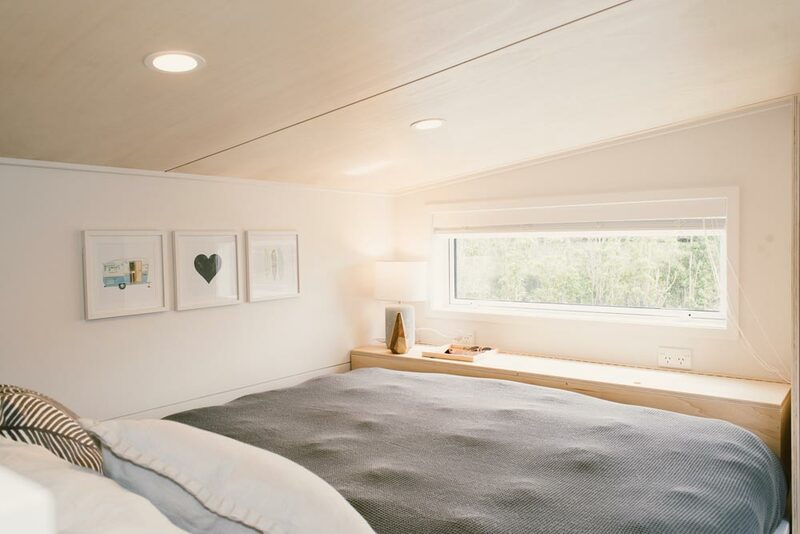 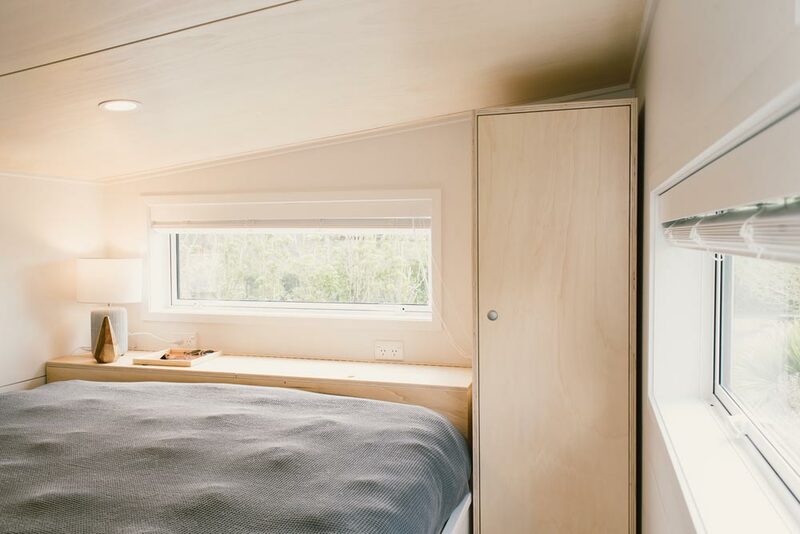 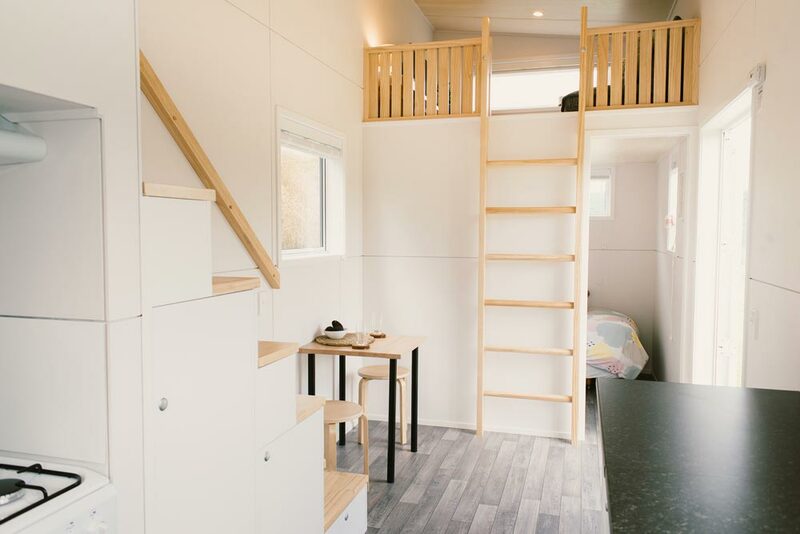 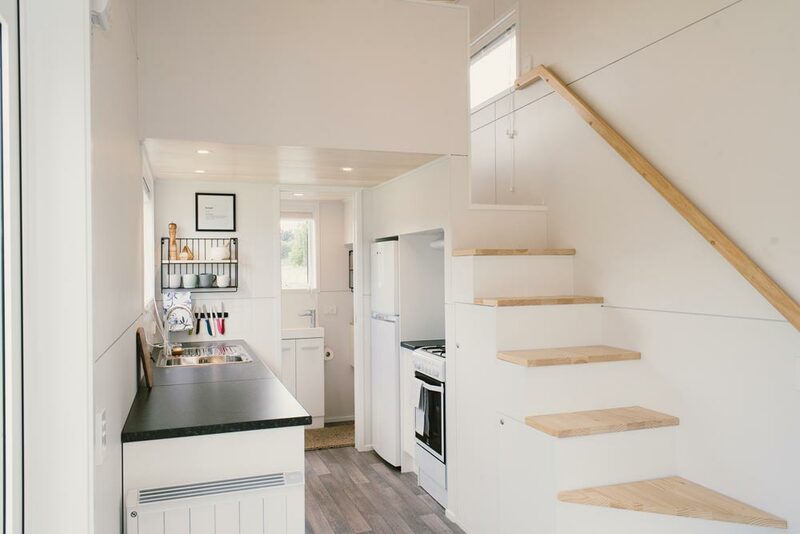 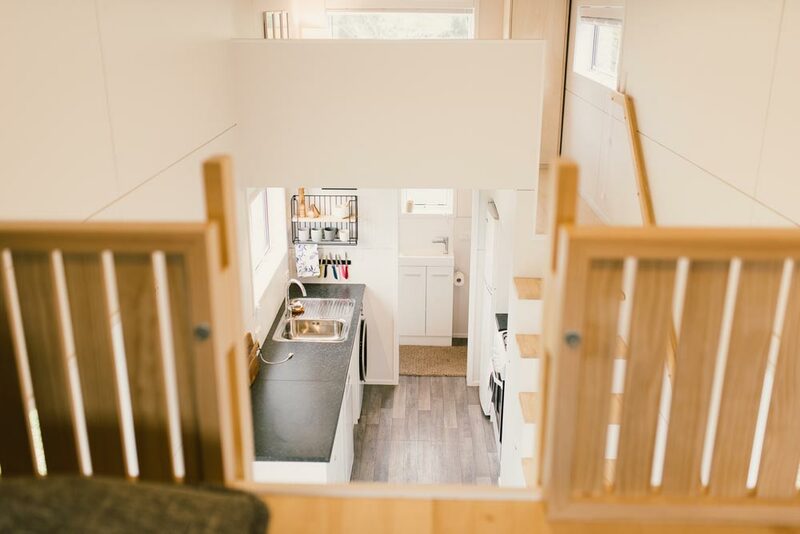 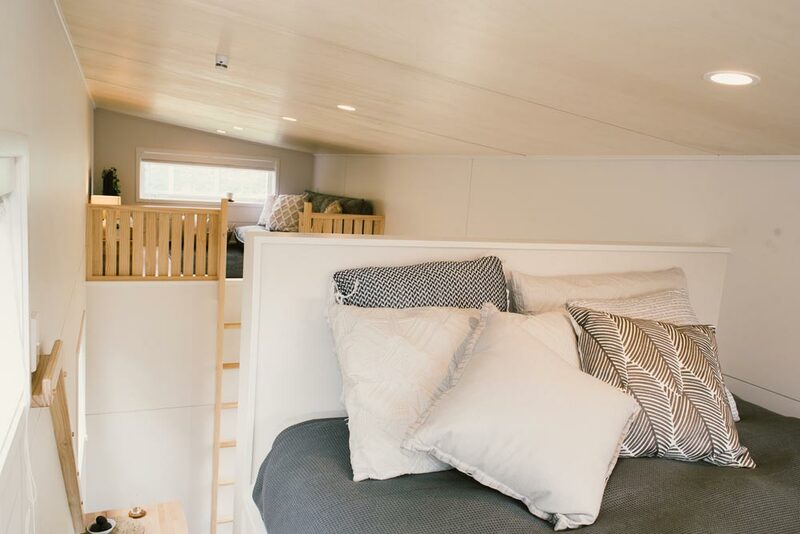 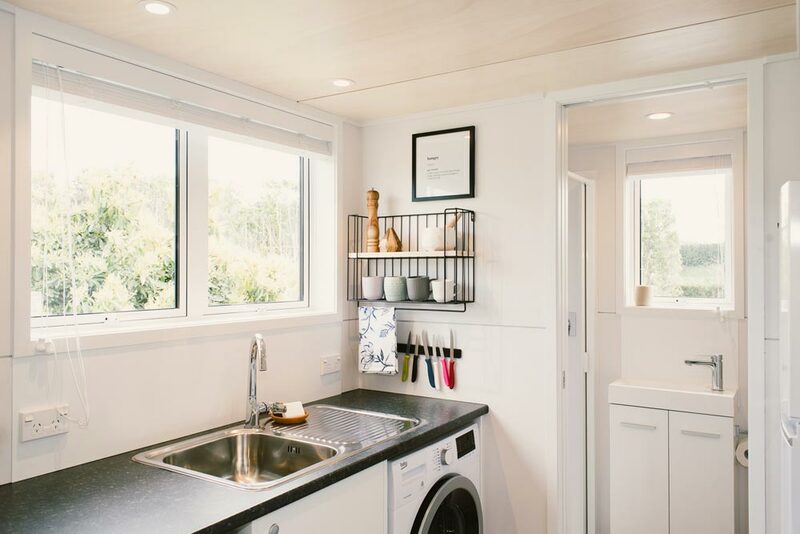 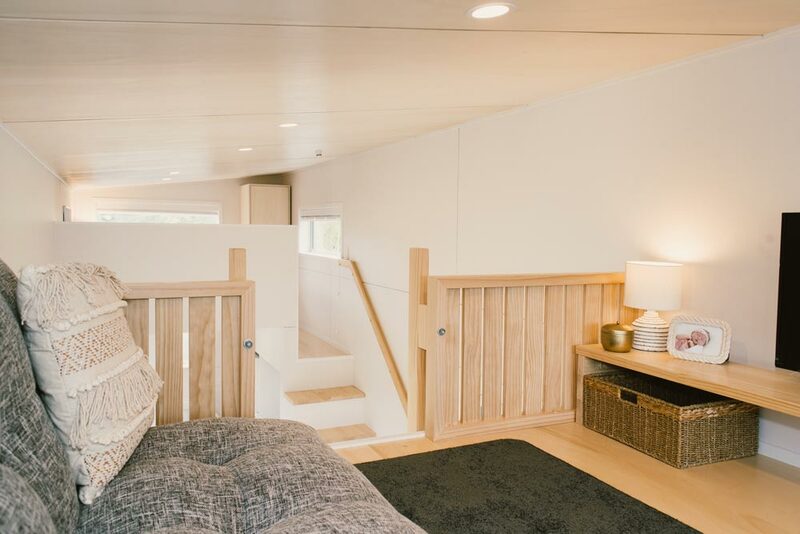 With its downstairs bedroom and two lofts, the 8-meter Archer Tiny House by New Zealand-based Build Tiny is a family-friendly option. 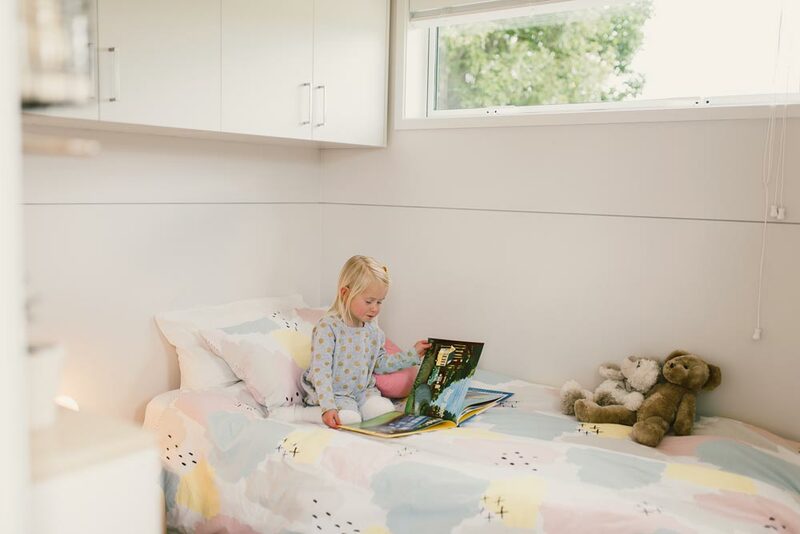 The clients used the downstairs bedroom for their young daughter, but it is large enough for a queen size bed. 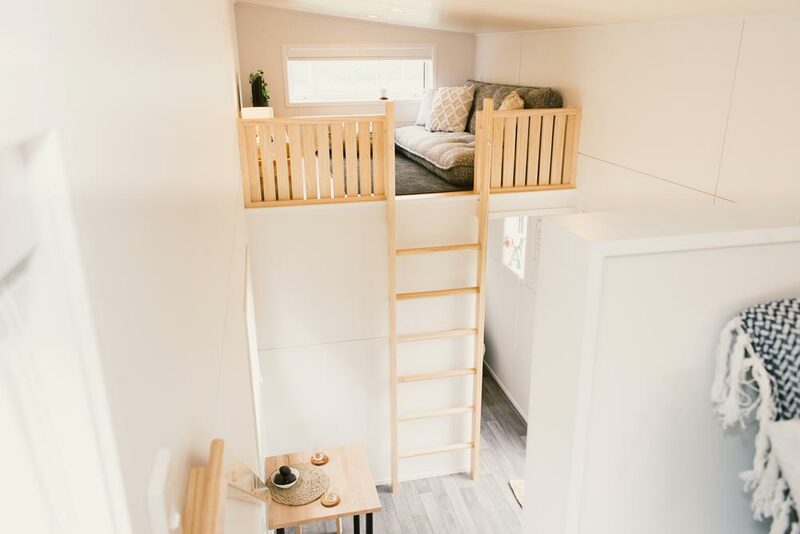 The main sleeping loft has storage stair access, a drop-down platform for extra headroom, a full height built-in wardrobe for hanging clothes, and a storage chest. 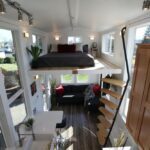 The second loft is being used as a lounge area with TV. 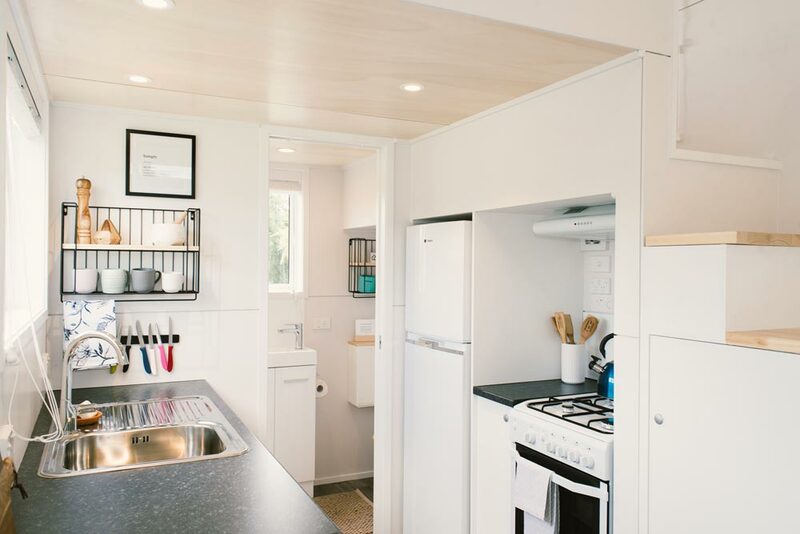 The kitchen features white cabinets with push-button locking mechanisms and soft close doors. 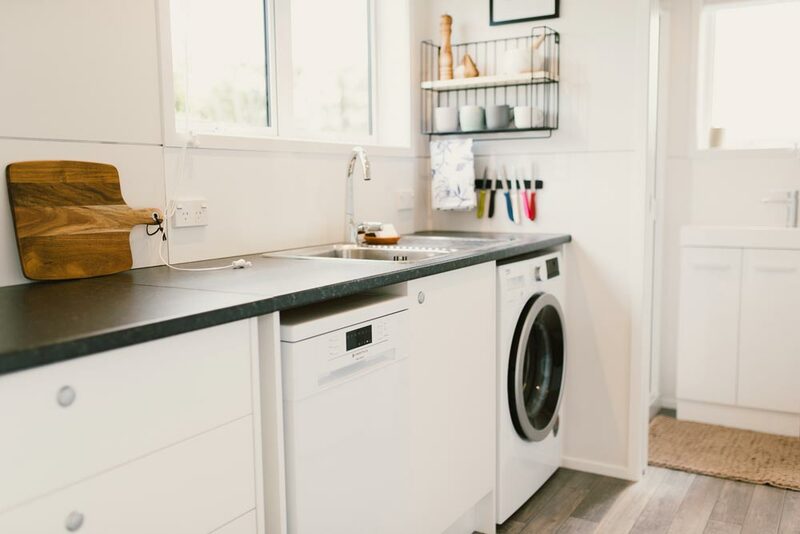 White appliances include a gas range with hood, refrigerator, dishwasher, and washing machine. 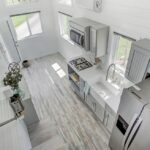 Vinyl flooring was used throughout the house. 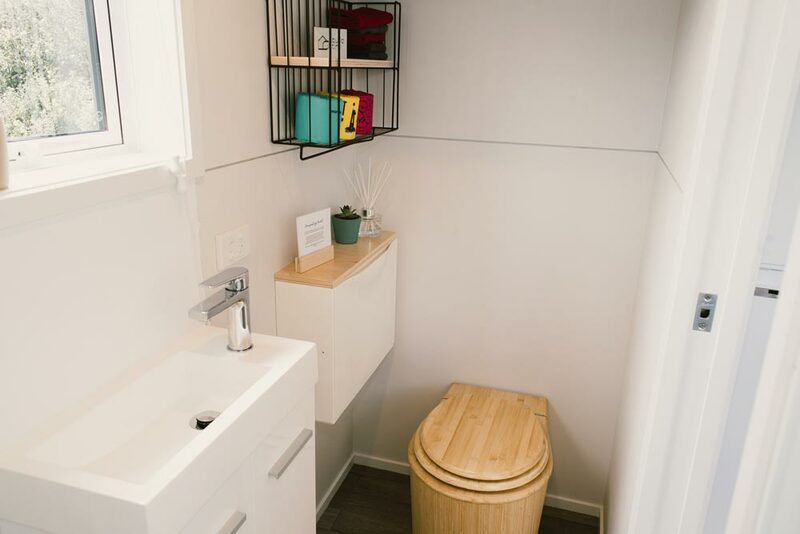 A pocket door leads into the bathroom where you’ll find a Bambooloo composting toilet, compact vanity, and shower with rollaway door. 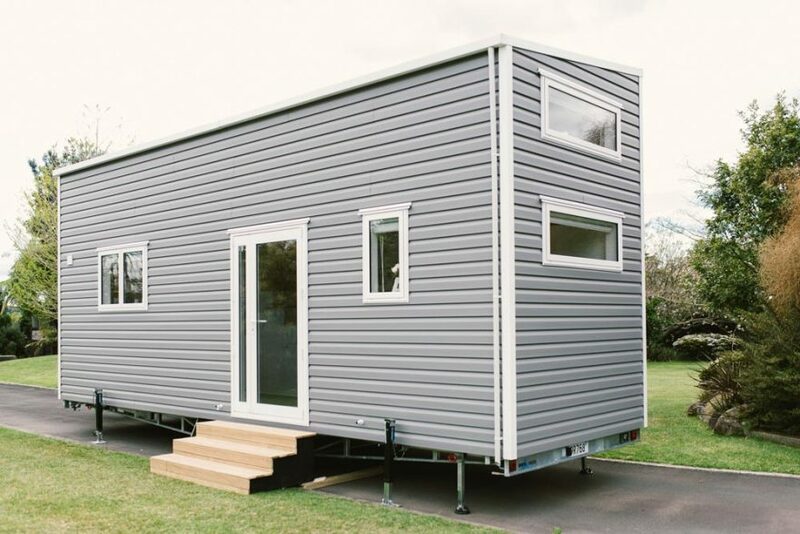 The Archer was constructed from roll-formed, lightweight steel framing with industry standard thermal break. 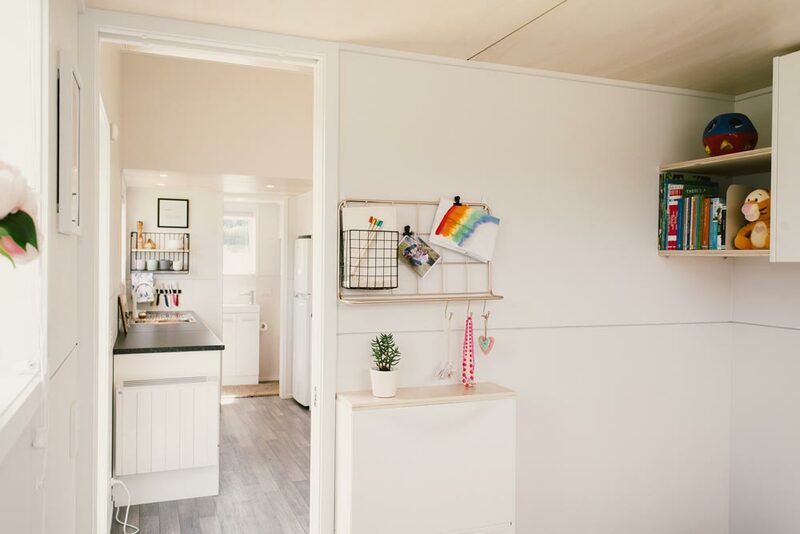 Bradford Gold insulation was used in the walls and ceiling, and 40mm polystyrene insulation was used in the floor. 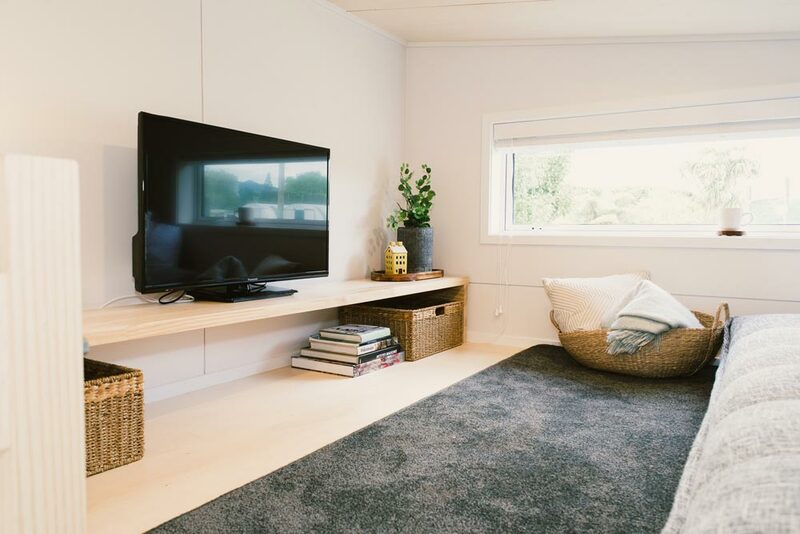 The home was clad in lightweight vinyl siding and a Coloursteel roof for a durable, low maintenance exterior. 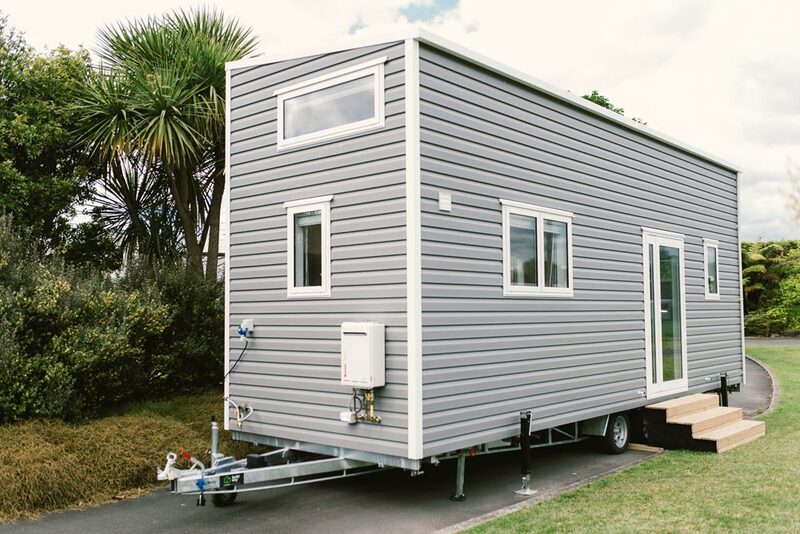 The Archer Tiny House is sold as a shell starting at $58,500 NZD or complete build starting at $106,500 NZD. 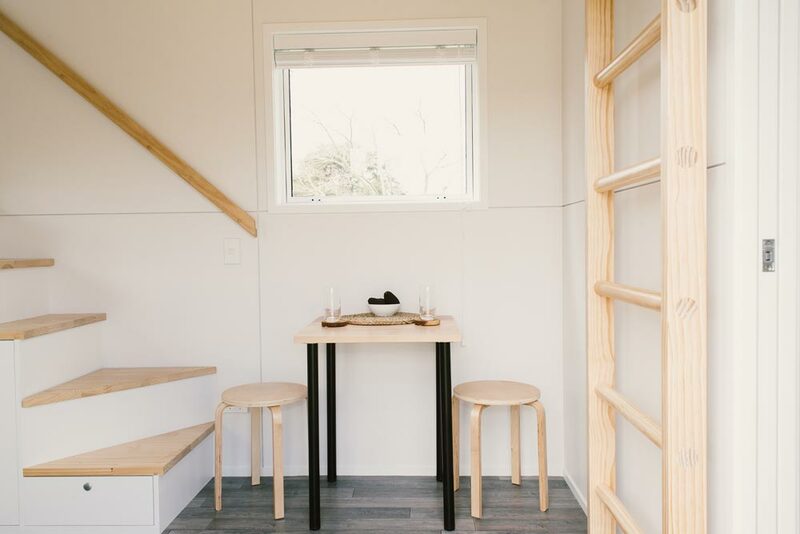 For more information about the home, you can visit the Build Tiny website. 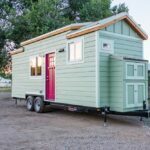 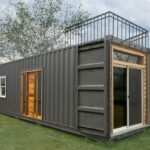 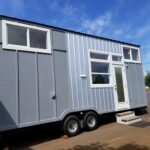 Also available from Build Tiny: Millennial Tiny House, Boomer Tiny House, Buster Tiny House, Ibbotson Tiny House.